On 15 September, the Treasurer announced changes to 2016 Budget super reforms. Please note these changes are subject to the passing of legislation and should be discussed with your financial adviser. longer be able to make non-concessional contributions. The measures above are intended to be effective 1 July 2017. The proposed carry forward of unused concessional contributions cap amounts will remain, however commencement will be delayed until 1 July 2018. The work test for those aged 65 to 75 will remain. Removing the less than 10 per cent employment income test for personal superannuation contribution deductions. The $1.6 million transfer cap for benefits transferred to pension phase. Reducing the annual income threshold for Division 293 tax on concessional contributions to $250,000. Reducing the concessional contributions cap to $25,000pa and allowing a carry forward of unused cap amounts for up to 5 years where account balances are under $500,000. Income on assets backing transition to retirement income streams will be taxed at 15 per cent. The increase to the spouse income threshold for claiming a tax offset for spouse contributions. Continuing the Low Income Superannuation Tax Offset. The proposed $500,000 lifetime cap on non-concessional contributions will be removed, including the retrospective look back to contributions made since 2007. This proposal will be replaced with a simple change that reduces the current $180,000 annual cap on non-concessional contributions to $100,000 pa. You will be able to bring forward the next two years of the cap and contribute up to $300,000 over three years. As currently applies, the ’bring forward’ provisions will not apply to those aged 65 or over. Additionally those with super accumulation balances over $1.6 million will not be able to make further non-concessional contributions. Where account balances are close to $1.6 million, the ’bring forward‘ provisions may be restricted. 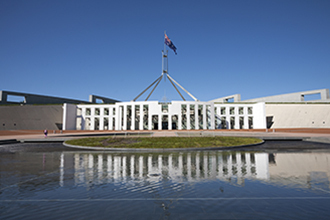 The $100,000 non-concessional contributions cap will be linked to changes in the concessional contributions cap and will rise when the concessional contributions cap increases. Transitional measures will apply to those who have not fully used their NCC bring forward amount before 1 July 2017. The remaining bring forward amount will be reassessed on 1 July 2017 to reflect the new lower annual caps.